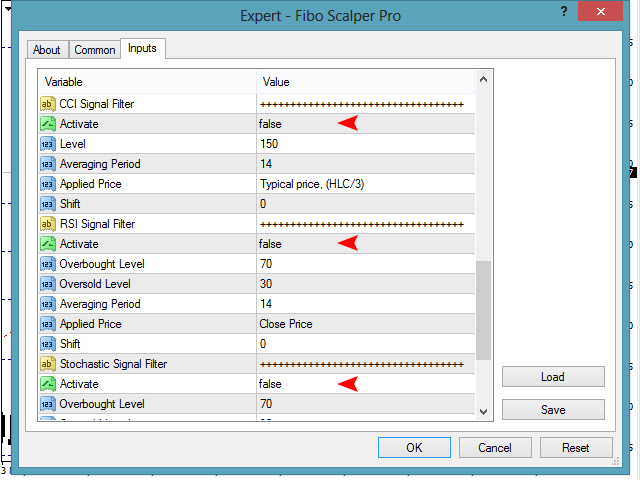 The Fibo Scalper Pro Expert Advisor is designed for automating the most popular Fibonacci trading strategies with hidden stop loss. The hidden stop loss is a great technique for scalping traders who like to hide stop loss from market maker brokers. 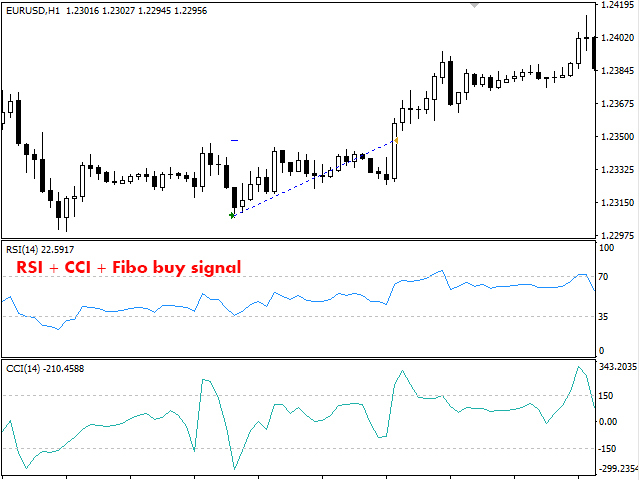 It is automatically shown when profit is gained, because it is moving to save your profits, as well as RSI, CCI and Stochastic indicators implemented to filter your signals. Few ways to set take profit level. Most popular indicators are used to filter signals. Other trades that were opened manually, by signals and EAs are secure due to the EA's own Magic Number. Lot Management - enable/disable lot management system. Maximum Risk - maximum risk from total margin in %. Decrease Factor - number of consecutive losing trades for decreasing the lot size. 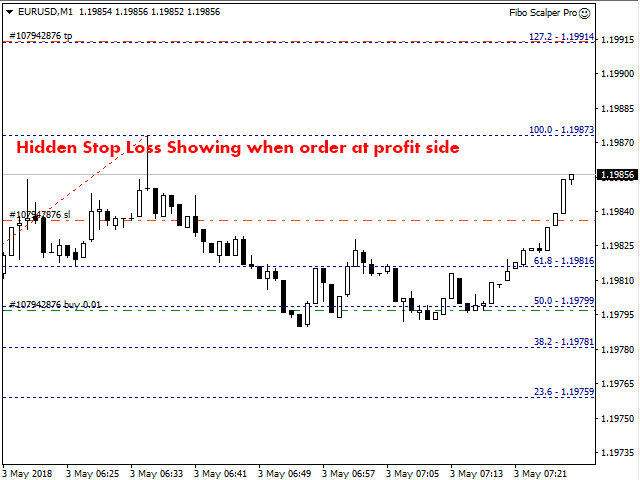 Trailing Stop - number of pips in profit to activate the trailing stop (pips). Stop Loss - stop loss (pips). Take Profit - take profit (pips). Take Profit By Level 127.2 - take profit set by Fibo level 127.2. Take Profit By Level 161.8 - take profit set by Fibo level 161.8. Allow Buy Orders - enable/disable buy orders. 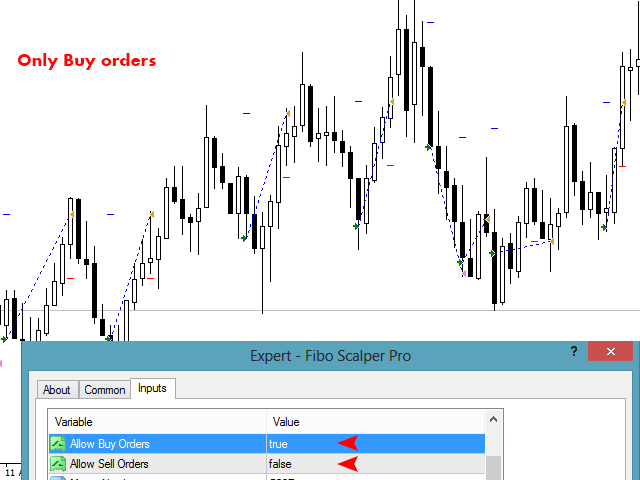 Allow Sell Orders - enable/disable sell orders. Magic Number - number for each symbol window and trade type you run the EA on simultaneously. Line Style - Fibo line style. Line Width - Fibo line width. Line Color - Fibo line color. 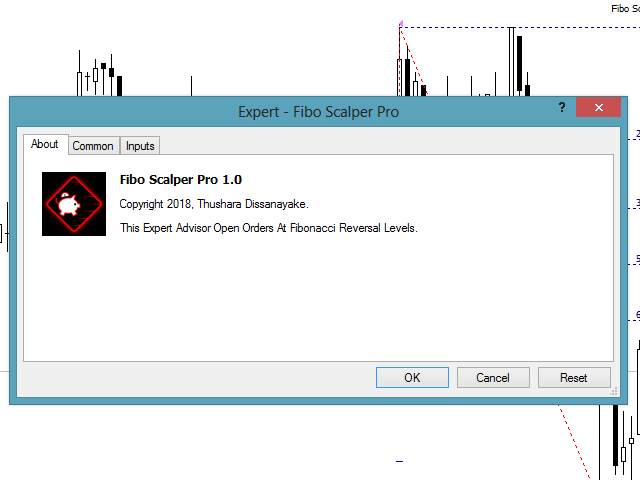 Start Bar Number - calculate Fibo levels between Start Bar and End Bar (default: The first candle from left to the right). 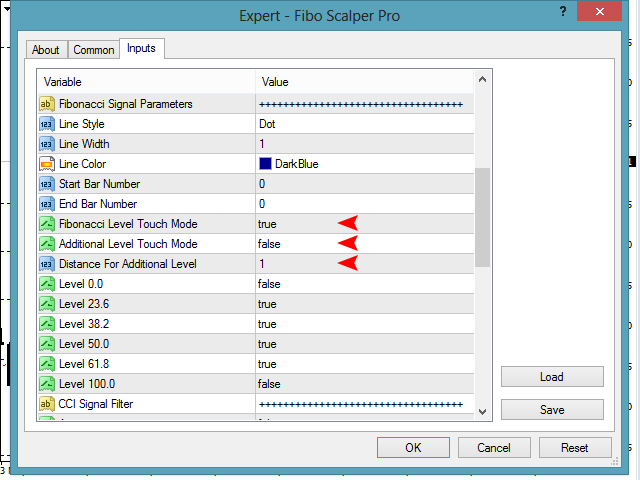 End Bar Number - calculate Fibo levels between Start Bar and End Bar (default: The first candle from right to left). 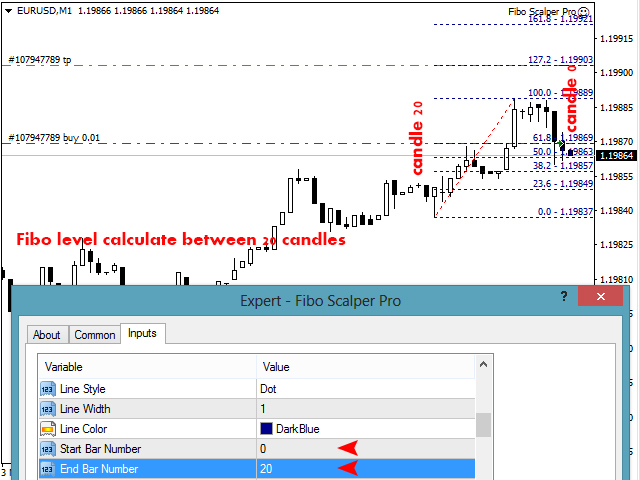 Fibonacci Level Touch Mode - open trades when touched a Fibo level. 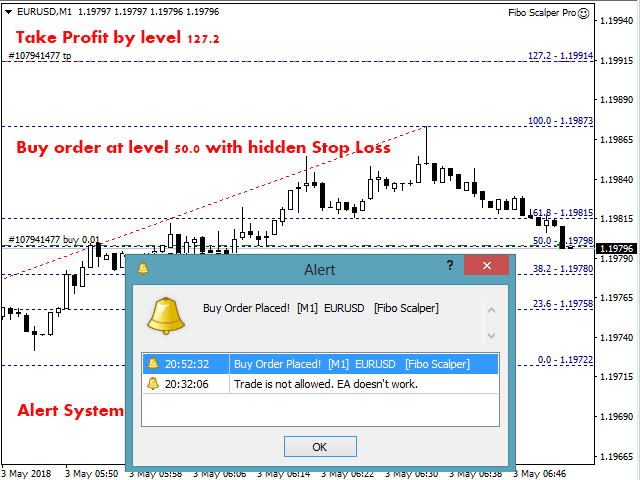 Additional Level Touch Mode - open trades when touched before several pipes from a Fibo level. Distance For Additional Level - distance for additional level by pips. Level 0.0 - enable/disable level 0.0 for opening trades. Level 23.6 - enable/disable level 23.6 for opening trades. Level 38.2 - enable/disable level 38.2 for opening trades. Level 50.0 - enable/disable level 50.0 for opening trades. Level 61.8 - enable/disable level 61.8 for opening trades. Level 100.0 - enable/disable level 100.0 for opening trades. Activate - enable/disable CCI filter. Level - CCI level for open order. Averaging Period - averaging period for calculation. Applied Price - applied price. Shift - index of the value taken from the indicator buffer. Activate - enable/disable RSI filter. Overbought Level - RSI level for opening a sell order. 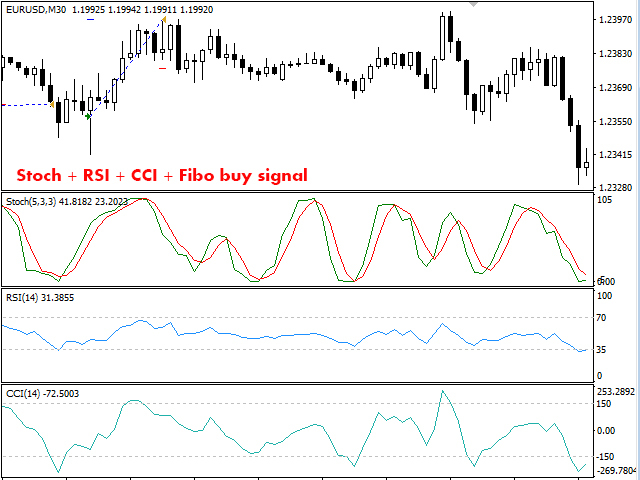 Oversold Level - RSI level for opening a buy order. Activate - enable/disable Stochastic filter. Overbought Level - Stochastic level for opening a sell order. 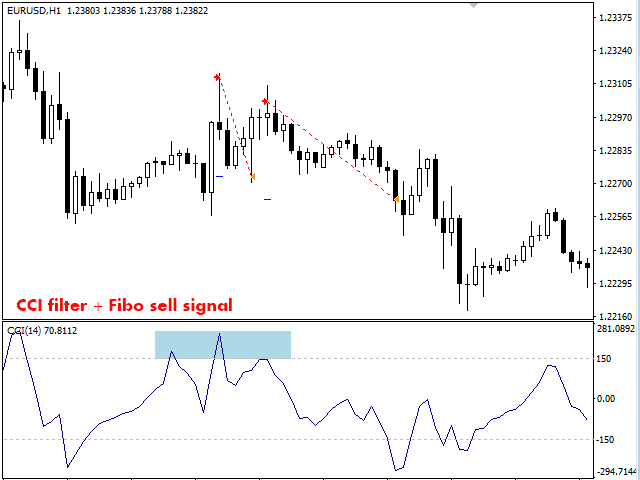 Oversold Level - Stochastic level for opening a buy order. K Period - averaging period (bars count) for the %K line calculation. D Period - averaging period (bars count) for the %D line calculation. 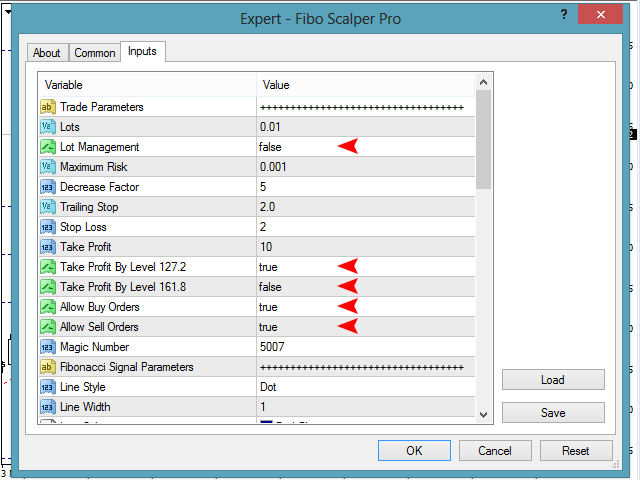 Price Field (0 or 1) - parameter of price selection for calculations.